Are you going to make the books available for the NOOK?!!!! Cant wait to get some of these wonderful recipes! I would love to have these cookbooks,I collect all kinds of cookbooks. Give me some new recipes for Lunch & Breakfast! These recipes sound so delicious…and affordable! I’d love a copy! My kids are so picky, lunch is an awful time around here. Would love to have the recipes! and a Happy, healthy and joyous New Year. Are the books going to be available for the ipad?? Great opportunity – thanks again. I love cookbooks. My husband says I am the only person he knows that can read a recipe and know how it will taste. 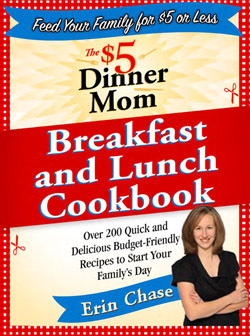 We really need to save money now and your cookbook would be a perfect addition to my collection. Trying again on day 6! Get your email updates too! Shared your site with my daughter. Hoping I win a fabulous cookbook!! Whats for Breakfast Christmas morning! I would love to win! These are my two hardest meals to prepare and I always feel like I’m stuck in a rut. Would love to see your ideas!! I would like to win the cookbook. I hope I get a cookbook with all of your fabulous recipes! I would love to win your cookbook. I need some new breakfast and lunch ideas to prepare. I would love these cook books! Trying to become more frugal with meals while still filling up the whole family! I would like to win your cookbook. I would love to win and I follow you on fb. I would love to win and I recieve your emails. What a great cabbage picture. Just wanted to add my input for the caption contest. I get bored with the same lunch ideas over and over!